Location: Vic-sur-Cére, in the Cantal departement of France (Auvergne Region). Ownership / Access: Currently owned by the Foundation for Disabled, Monique Monteynard. It is also a Museum. 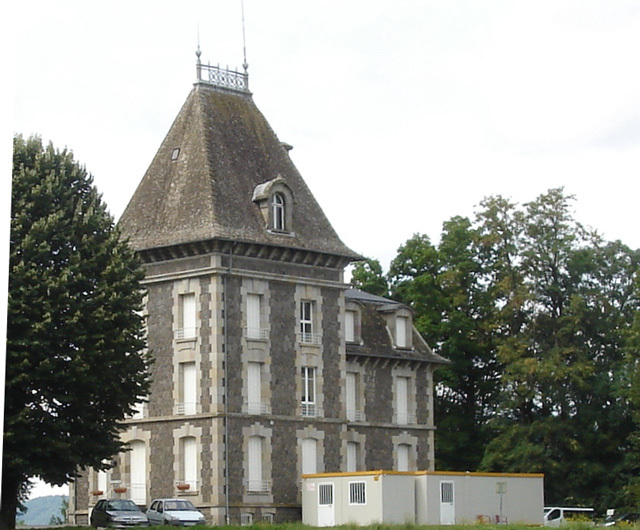 Notes: Château d'Olmet is a nineteenth-century mansion, located in Vic-sur-Cère in the Cantal, near which there is a museum on the movement Croix de Feu. The site is on a terrace overlooking the pleasant valley of the Cere and located vis-a-vis the castle Comblat which it takes a little volumes. Pavilion building with two floors and three bays square with a height four steep sides, a wing of one floor with a mansard roof on. There are also common. The set was built in the late nineteenth century in classic style type Louis XIII. The castle is assigned since 1972 to a Help Center for Work (CAT), where we practice carpentry, beekeeping, rope, lingerie-laundry-maintenance and conditioning. The center welcomes 52 persons recognized disabilities. An extension building was built in the Vic area of activity in 2010.